Qualified cash or deferred arrangements (CODAs) permitted under Section 401(k) of the Internal Revenue Code, commonly referred to as "401(k) plans," have become one of the most popular types of employer-sponsored retirement plans. How does a 401(k) plan work? With a 401(k) plan, you elect either to receive cash payments (wages) from your employer immediately, or defer receipt of a portion of that income to the plan. The amount you defer (called an "elective deferral" or "pre-tax contribution") isn't currently included in your income; it's made with pre-tax dollars. Consequently, your federal taxable income (and federal income tax) that year is reduced. And the deferred portion (along with any investment earnings) isn't taxed to you until you receive payments from the plan. Melissa earns $30,000 annually. She contributes $4,500 of her pay to her employer's 401(k) plan on a pre-tax basis. As a result, Melissa's taxable income is $25,500. She isn't taxed on the deferred money ($4,500), or any investment earnings, until she receives a distribution from the plan. You may also be able to take Roth contributions to your 401(k) plan. 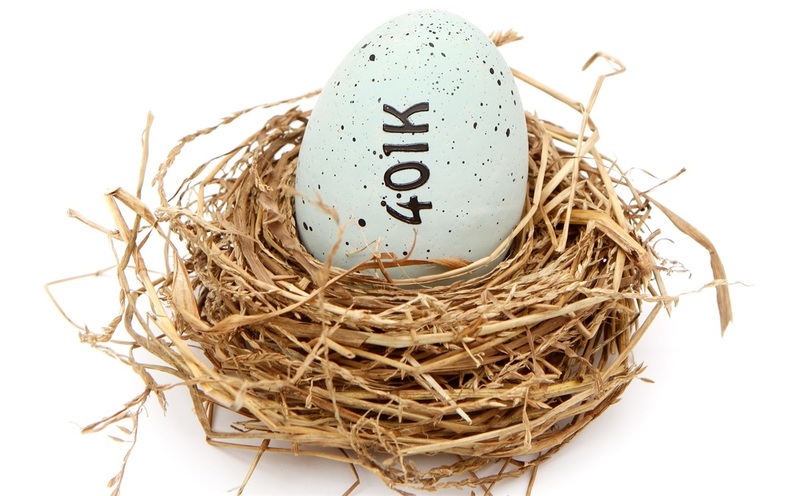 Roth 401(k) contributions are made on an after-tax basis, just like Roth IRA contributions. Unlike pre-tax contributions to a 401(k) plan, there's no up-front tax benefit, but qualified distributions from a Roth 401(k) account are entirely free from federal income tax. You can contribute to your employer's 401(k) plan as soon as you're eligible to participate under the terms of the plan. In general, a 401(k) plan can make you wait up to a year before you're eligible to contribute. But many plans don't have a waiting period at all, allowing you to contribute beginning with your first paycheck. Some 401(k) plans provide for automatic enrollment once you've satisfied the plan's eligibility requirements. For example, the plan might provide that you'll be automatically enrolled at a 3% pre-tax contribution rate (or some other percentage) unless you elect a different deferral percentage, or choose not to participate in the plan. This is sometimes called a "negative enrollment" because you haven't affirmatively elected to participate — instead you must affirmatively act to change or stop contributions. If you've been automatically enrolled in your 401(k) plan, make sure to check that your assigned contribution rate and investments are appropriate for your circumstances. There's an overall cap on your combined pre-tax and Roth 401(k) contributions. You can contribute up to $18,500 of your pay ($24,500 if you're age 50 or older) to a 401(k) plan in 2018. If your plan allows Roth 401(k) contributions, you can split your contribution between pre-tax and Roth contributions any way you wish. For example, you can make $10,000 of Roth contributions and $8,500 of pre-tax 401(k) contributions. It's up to you. But keep in mind that if you also contribute to another employer's 401(k), 403(b), SIMPLE, or SAR-SEP plan, your total contributions to all of these plans — both pre-tax and Roth — can't exceed $18,500 ($24,500 if you're age 50 or older). It's up to you to make sure you don't exceed these limits if you contribute to plans of more than one employer. Your participation in a 401(k) plan has no impact on your ability to contribute to an IRA (Roth or traditional). You can contribute up to $5,500 to an IRA in 2018, $6,500 if you're age 50 or older (or, if less, 100% of your taxable compensation). But, depending on your salary level, your ability to take a tax deduction for your traditional IRA contributions may be limited if you participate in a 401(k) plan. When you make pre-tax 401(k) contributions, you don't pay current income taxes on those dollars (which generally means more take-home pay compared to an after-tax Roth contribution of the same amount). But your contributions and investment earnings are fully taxable when you receive a distribution from the plan. The five-year waiting period for qualified distributions starts with the year you make your first Roth contribution to the 401(k) plan. For example, if you make your first Roth contribution to your employer's 401(k) plan in December 2018, your five-year waiting period begins January 1, 2018, and ends on December 31, 2022. Each nonqualified distribution is deemed to consist of a pro-rata portion of your tax-free contributions and taxable earnings. Many employers will match all or part of your contributions. Your employer can match your Roth contributions, your pre-tax contributions, or both. But your employer's contributions are always made on a pre-tax basis, even if they match your Roth contributions. That is, your employer's contributions, and investment earnings on those contributions, are always taxable to you when you receive a distribution from the plan. How should I choose between pre-tax and Roth contributions? Assuming your 401(k) plan allows you to make Roth 401(k) contributions, which option might you choose? It depends on your personal situation. If you think you'll be in a similar or higher tax bracket when you retire, Roth 401(k) contributions may be more appealing, since you'll effectively lock in today's lower tax rates. However, if you think you'll be in a lower tax bracket when you retire, pre-tax 401(k) contributions may be more appropriate. Your investment horizon and projected investment results are also important factors. A financial professional can help you determine which course is appropriate for you. Whichever you decide — Roth or pre-tax — make sure you contribute as much as necessary to get the maximum matching contribution from your employer. This is essentially free money that can help you reach your retirement goals that much sooner. Generally, you forfeit all contributions that haven't vested. "Vesting" is the process of earning the right, over time, to employer contributions. Your contributions, pre-tax and Roth, are always 100% vested. But your 401(k) plan may generally require up to six years of service before you fully vest in employer matching contributions (although some plans have a much faster vesting schedule). Make sure you contribute as much as necessary to get the maximum matching contribution from your employer. This is essentially free money that can help you reach your retirement goals that much sooner. *When considering whether to make a rollover or to keep your funds in your 401(k) plan, you should consider carefully the investment options, fees and expenses, services, ability to make penalty-free withdrawals, degree of creditor protection, and distribution requirements associated with each option.